Hey, Welcome to the new How to Guide from Techposts.org. Today in this HowtoGuide we will show you how to Install Android on PC or Laptop along with windows, that is dual boot – Android Lollipop and Windows 7, 8 or 10. This is the safest way to install Android on Any Linux or Windows PC. You can also uninstall it anytime without damaging your data or Windows. There is a complete guide written on How you can uninstall Android OS from your PC. Android mobile operating system is an open source system software available for various smartphone, tablet devices and Desktops too. 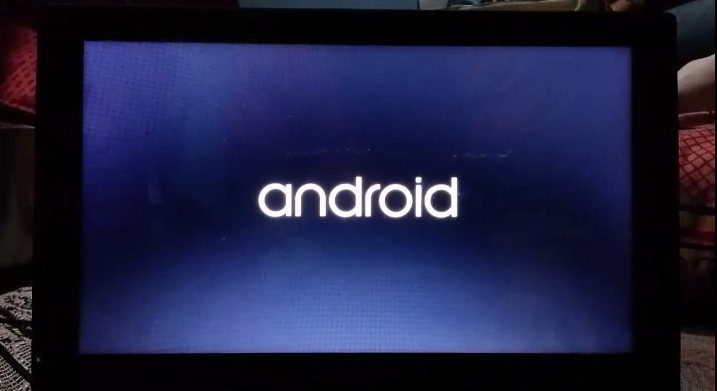 In our previous Videos we shown you How to install Android 4.4.4 Kitkat on PC aadn laptops but This time we will be installing the latest Android version which is ANdroid 5 Lollipop on Laptop and Desktops. With This installation Method, Users can multi Dual Boot Android with Windows on PC and Laptops powered by x86 (32-bit) or x64 (64 Bit) computer architecture hardware. Users are required to Download Android x86 ISO File and can install it via bootable USB flash drive or bootable CD/DVD. So let’s start and intsall android on PC. Step1. Things you’ll need ? 1 USB Flash Drive or Bootable CD/DVD. 4GB Free Hard Disk Space for Android installation. Universal USB Installer Tool to create bootable USB thumb drive. You can Find the Links in Description. Step 2: By using Universal USB Installer Tool, Make a bootable USB flash drive using the ISO image file that you downloaded. Select Android from the Drop Down menu, Then Browse the Android x86 ISO file and then select the USB Thumb Drive and Hit Create Button. Step 4: Now, When the menu appears, just select Install Android x86 to hard disk. You can also Run it As a Live Cd which means that if any changes made, they will not be saved. But if you install it then any changes that you make will be saved next time you boot android. Step 5: Select your appropriate hard disk partition to install Android x86 i.e. C: or D: or you can install on any new partition. Step 6: Now, You will get a few prompts messages pertaining to installation of GRUB Bootloader. Make sure to allow it. Step 7: Now, another prompt message will ask you to make system /r/w. Hit Yes on this as well, especially if you’d like to modify your Android x86 installation later. Step 8: After that, you will get another prompt to install virtual SD card. Use 2048 MB for space, as that’s the maximum supported. Step 9: Now, You can Restart your Windows PC / Laptops. After Reboot, You can select to either boot to Android or Windows. Voilah! You’re done. Congratulations!! You have successfully installed Android 5.0 Lollipop on Your Desktop PC/Laptop. Enjoy this latest update. If you have any questions or feedback, please use comment box below. If you face any problem during Installation, please contact us, and we’ll do our best to solve your queries. So this is how you install Android on PC with Windows or Linux OS and dual or triple boot your PC with Android OS. Just wanted to let you know that We’ve launched YouTube Channel where we upload awesome video content. Make sure you hit the subscribe button to stay up to date with the new videos we upload every week. Also Subscribe us for more How To Guides and Reviews…!!! @http://youtube.com/checknma for more How to Guides. Enjoy..!!! How to install apps after installation?? Use Playstore and if not. Simply go to APKDownloader site and Download apps as APK and then install them. Sir, I did the same process as you’ve mentioned in this thread, everything went alright but its not asking anything like whether to choose android or windows in boot menu… It directly loads my windows operating system…. Pls let me know what the problem is. seems like Grub bootloader is not installed. You must reinstall it and make sure you install Grub bootloader. Don’t skip this step or you won’t be able to dual boot. Comment if you successfully do that. how can i install grub bootloader? As shown in the video and by following the instructions. i cant boot using my usb drive. i’m using lenovo ideapad flex. Enable Unknown Sources in settings, then backup Apps in your phone. Transfer them using USB drive to Androidx86 Lollipop and install them. so i can run it like a normal windows app? how about the drivers? for wifi etc. and can we boot them together or need to reboot to switch to windows? Are you able to boot Android OS? I have installed android x 86 4.4 on my pc and working fine but there is no wired internet connectivity . Can you please tell me how to setup wired/LAN internet connection. It supports DHCP connection only. Didn’t tried on Lollipop but works perfectly fine in Android 4.4.4 Kitkat R3. Thanks. Can I install and use android on a non touch laptop? Android x86 not showing in grub..
How to add it to the Grub? Thank you for the nice tutorial. Installing Android x86 to PC was a wonderful experience. Though I have one major issue. My broadcom Wifi router does not seem to work. It shows a list of avialable devices and let me put in a password but beyond that it keeps on saying that it is connecting but never connects. Can you help me with that? Seems like your system is running in UEFI mode which need to be changed or simply download Androidx86 4.4 EFI ISO file and then install it on your system. Good luck!! Sir , I will do it the process all ..after android is working OK.but wifi scan but after not connecting..my pc is windows 7 professional. 64 bit 4years old..and olso rebotig time windows return coming.. Please answer mee..
Go to How to Install Android Remix OS on Windows Laptop or PC and install Remix OS. It will work like a charm. It’s a dedicated PC OS like Windows made for Desktops and laptops. Good luck! hi i am ashok. i have install android 6.0 on my laptop. after i can’t access my windows. i think i have install in the hard disk which had only 7.80 gp and it was in ext3 format. now i have given my laptop to install windows on it. but i am eager to use android on laptop. i test remix but it not comfortable for me. please help me to use android with windows. i am waiting for your help.